We had a summer sisterhood retreat, going to Kennywood park one day, and the Bon Jovi concert the next day. I couldn't go to the concert, but it was a great time too! Standing in line for the "Noah's Ark" attraction. 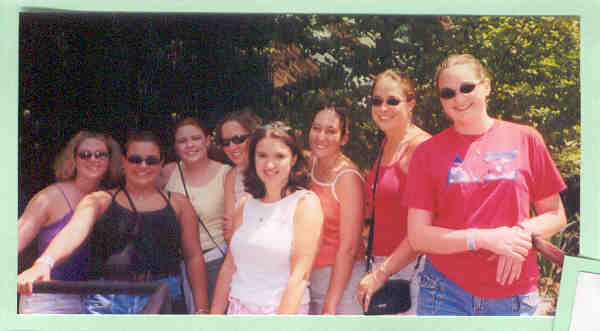 Ashley, Amy, Jessica, Hilary, Chanda, Fran, Erica, and me. 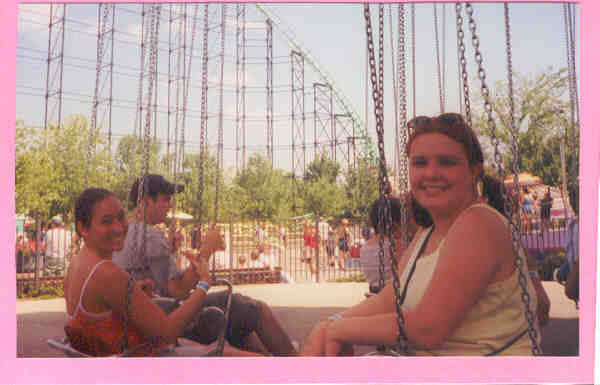 Fran and Jessica on the swings ride. 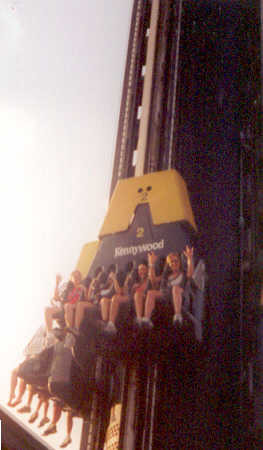 Some crazy drop ride - I think it was Fran, Hilary, Chanda, and Erica who were brave enough to ride. Wanna know what happens next? Well then, visit my Fall 2001 Rush page. Or you could go back to the table of contents for my journal. Still, you could choose to go back home.